Discover how can we grow your business! 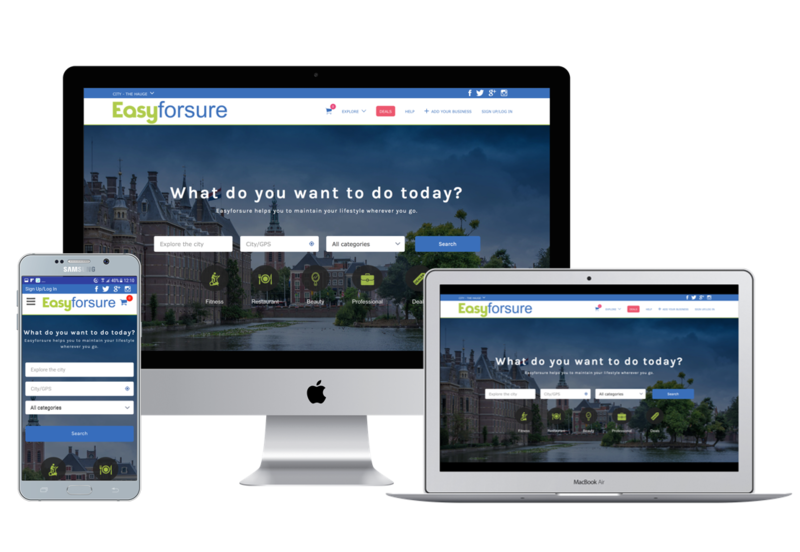 Access hundreds of new customers searching for appointments in their local area on EasyForSure. Control your pricing and take advantage of our smart discounting tools to maximise your revenue in peak and off-peak times. With 50,000 new members and 500 new members being added in our international community monthly, we provide a great opportunity for you to strengthen your digital reputation. Plus, we'll help you open your business up online with marketing support. Allow to create smart deals. Use our smart management software to run your business more effectively. Reach new customers with us and let your sales grow. That's it Let EasyforSure do the rest. This is a truly unique partnership opportunity to become part of a development that will change the way people maintain their business more efficiently. Fill in the registration form without obligation so that we can contact you by telephone. Do you want to come into direct contact with us? Then call +31 (0) 70 219 2820 and ask for the sales department.